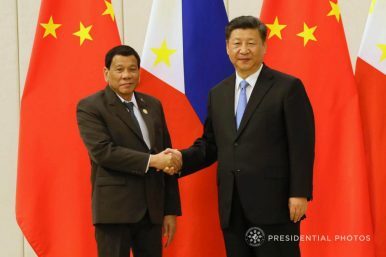 In October 2016, President Rodrigo Duterte’s visit to China brought an earmarked $24 billion worth of Chinese foreign direct investment (FDI) and overseas development aid (ODA) for the Philippines. After signing the memoranda of understanding (MOUs), both supporters and detractors of the deal expected an uptick in Chinese investments and an expanded role for Chinese state-oriented enterprises (SOEs). A year and a half later, newspapers have argued that the predicted boom has failed to materialize. Indeed, the prevailing media narrative is that China encouraged the Duterte administration to concede the South China Sea in exchange for an investment boom that has yet to come. While this perspective may have some merit, the point that Chinese investments have barely increased is simply untrue. According to actualized FDI data of the Central Bank of the Philippines, which is recorded by examining bank deposits and conducting surveys with investors, China and Hong Kong’s FDI inflows had already reached $1.04 billion by March 2018. This amount has surpassed the entirety of Chinese and Hong Kong investment received under President Gloria Arroyo ($828 million) and already reached five-sixths of the $1.2 billion under Benigno Aquino’s term. Following this analysis, I suggest that there is a disconnect between the public expectation of what a “major investment boom” is and the actual financial changes that occurred. Whether or not Chinese FDI has increased during the Duterte administration should not be the question. The conversation needs to explore where investments go, how they occur, and who benefits. I want to point out three overlapping, yet distinct, investment pathways. First, criticisms of Chinese FDI’s lackluster turnout are equating it only with large-scale infrastructural or manufacturing investments, which occur through the establishment of new major companies, the construction of infrastructure, and the generation of positive spillovers on the economy. While these deals were indeed touted as such, greenfield investment — which consists of the parent company building an operation in a host country — does not always actualize in large-scale projects. Many nonconstruction Chinese firms establish branch offices in the Philippines, which would necessitate a minimum foreign investment of $200,000 and the employment of at least 50 Filipino employees, and be registered as greenfield investments. These firms primarily provide services and acquire contracts from domestic and foreign firms in the Philippines. For instance, Zhongxing Telecommunication Equipment Corporation (ZTE) invested and expanded their office in the Philippines but has not undertaken any major investment or service project because of its key role during a scandal in the Arroyo administration. Nonetheless, ZTE has maintained its branch office in the Philippines, providing telecommunication equipment, technology upgrades, and numerous other services to major Philippine companies and call centers. Some Chinese firms invest in the Philippines not to generate further investment or do business in the country. Instead, these firms provide services and acquire contracts for Filipino capitalists planning to invest outside the Philippines or firms needing to acquire service for international projects. These greenfield investments generate interfirm relationships and broker deals across countries, linking new business partners, contracts, and opportunities. In other words, these firms are linked not to the inward foreign investment in the Philippines, but instead the outward movement of capital. For instance, the Industrial and Commercial Bank of China (ICBC), which attempted to invest in the Philippines to provide service to the country, recently acquired the permission to create a branch and operate. ICBC will build branches in the Philippines, but this bank could immediately link Filipino oligarchs to major Chinese projects outside the country. Henry Sy’s SM investments in China, for example, will directly benefit from the ICBC’s branch office, along with numerous other Filipino capitalists. Second, the popular narrative forged by journalists associates Chinese investment or economic involvement with construction and service supported by Chinese ODA and agreed upon by both governments, which has been typically portrayed as negative. However, this portrayal overlooks construction projects that have been successfully finished and cleanly managed, even more efficiently and cost effective than projects by Japanese or U.S. firms. For example, the Angat Water Utilization and Aqueduct Improvement Project, a Chinese construction project, was finished eight months ahead of time and had far better cost overrun record than projects undertaken by other nations. Other Chinese projects, such as the Banaoang Pump Irrigation Project, General Santos Fishing Port Complex Expansion, and Agno River Integrated Irrigation, have been successfully and efficiently finished with little-to-no controversy. However, there have also been projects mired with overpricing and anomalous procedures, such as the ZTE-NBN project, the CHED Cyber Education, and the North Rail. Since President Xi Jinping’s rise, the Philippines needs to worry about possible security implications and a debt trap stemming from Chinese projects and loans, such as what happened to Sri Lanka in Hambatota Port. While these projects cannot be considered foreign investments unless there is an equity transfer from the host to the Chinese entity at the end of the contract, Duterte’s “Build, Build, Build” policy envisions a greater role for Chinese financing and firms. For instance, New Centennial Water Source-Kaliwa Dam in Quezon Province, which is part of the three priority projects that the government announced, is making substantial progress. In April, a Chinese construction team visited the site, which was followed up by another visit in late June. The Biomass Bronzeok Philippines Wuxi Huaguang Electric Power, a project that was originally part of the $24 billion package and removed from the priority list, is moving forward. Negotiations with the community and the construction of the site have already began. Across the world, Chinese infrastructural and construction projects generate a multiplier effect that draws in further interest from Chinese citizens and firms to invest. In the Philippines, there is intense competition among Chinese construction firms for Beijing-funded projects, leading to some deciding to create branch offices as greenfield investments, which would strengthen their position in the Philippine construction market. Nonconstruction Chinese businesses have started to increase because of China’s greater involvement in, and the strength of, the Philippine economy. Apart from greenfield investment, Chinese investment most commonly takes two other pathways: mergers and joint ventures and acquiring a controlling interest in an existing foreign company. For instance, the State Grid Corporation of China (SGCC), which is responsible for the biggest Chinese FDI in the Philippines yet, undertook a joint venture with Monte Oro Grid Corporation and Calaca Bay to create the National Grid Corporation of the Philippines (NGCP) in 2008. The SGCC constructed major energy distribution lines across the country, upgraded many of the existing transmission infrastructures, and trained Filipino engineers for free. Yet because the SGCC was tied to an existing joint venture and did not employ thousands of Filipinos, its existence was relatively unknown to the public, aside from the Aquino administration’s nationalist concerns of sabotage in 2015. In my research, acquiring stakes in pre-existing major and smaller Philippine companies is the most common pathway for Chinese (and non-Chinese) investors. For instance, Jack Ma’s Ant Financial purchased a substantial minority stake of Myth, a financial technology corporation co-owned by Globe telecommunications and the Ayala Corporation. My field research, which draws from interviews with Filipino and Chinese investors across the country, and my analysis of firm-level data in Investment Promotion Agencies, found widespread Chinese minority stakes in call centers, shoe and bag manufacturing factories, beach resorts, and many more. Chinese investors typically find this pathway of investment preferable because it bypasses the legal hurdles of greenfield investments, generates host state allies to fend off opponents, and jumps on already existing (and seemingly profitable) businesses. This pathway of investment typically does not expand the capacity or employment of the firm so much as it simply diversifies the number of controlling shareholders. However, this pathway hypothetically frees up the capital of existing Filipino partners, allowing them to invest somewhere else. Acquiring controlling stakes is underestimated and underappreciated in the Philippine context because of the public imagination’s fixation on large-scale greenfield investments. Indeed, during the Aquino administration, the majority of Chinese FDI occurred through purchasing controlling stakes. This explains why Chinese FDI during the Aquino administration surpassed the amount received during Arroyo’s time, despite adversarial relations in the South China Sea. In sum, there is a disconnect between popular expectations of Chinese FDI, as fueled by the press, and the formal definition of foreign investment. The emergence of branch offices as greenfield investments, mergers and acquisitions, and acquiring controlling stakes are the dominant ways that Chinese businesses have invested in the Philippines. On their own, these deals may not be worth a lot. However, at an aggregate level, they make up Hong Kong and China’s economic capital in the country. It is crucial for Philippine analysts to move beyond the conversation of investment yields into examining where investments go as well as which Philippine citizens benefit.